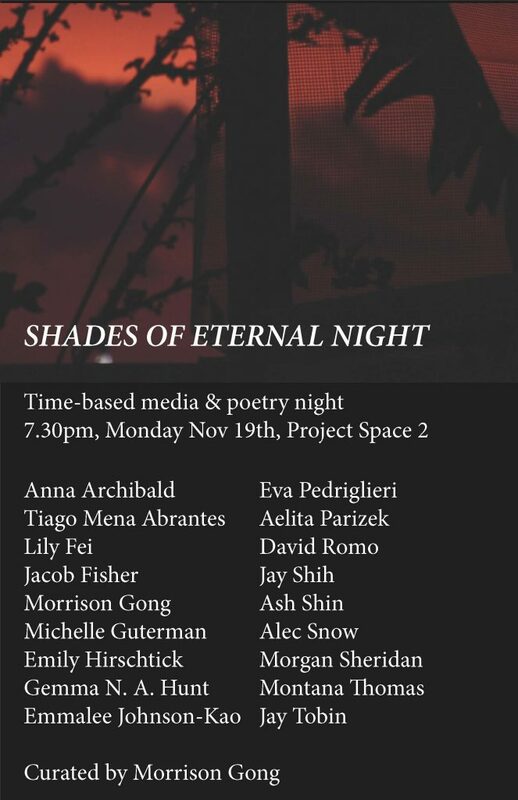 “Shades of Eternal Night”, a night of celebrating time-based media and poetry on themes of ephemerality, body, gender, and transformation. The works that will be shown feature a variety of media, including film, video, sound, performance and poetry by 18 artists. This is also an open invite for others to bring short texts that they would like to share – quotes, single page, sentences, poems, related to or inspired by the subjects above.